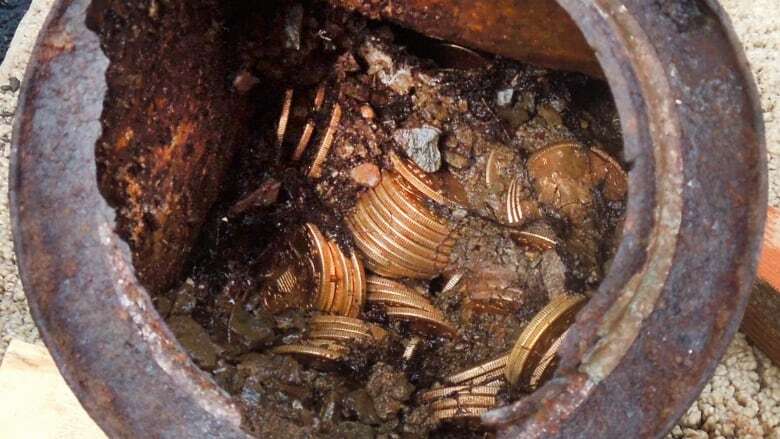 A Northern California couple out walking their dog on their property stumbled across a modern-day bonanza: $11 million Cdn in rare, mint-condition gold coins buried in the shadow of an old tree. 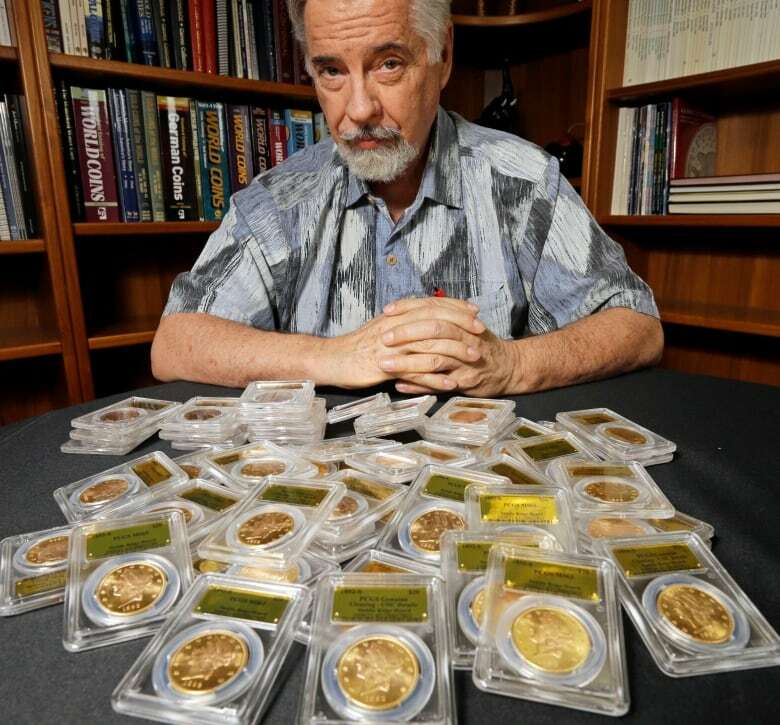 Nearly all of the 1,427 coins, dating from 1847-94, are in uncirculated, mint condition, said David Hall, co-founder of Professional Coin Grading Service of Santa Ana, which recently authenticated them. Although the face value of the gold pieces only adds up to more than $31,000, some of them are so rare that coin experts say they could fetch slightly more than $1,100,000 apiece. David Hall, co-founder of Professional Coin Grading Service, recently authenticated the 1,427 coins found by an anonymous couple. He said nearly all of them are in in uncirculated, mint condition. (Reed Saxon/The Associated Press)"It wasn't really until the 1880s that you start seeing coins struck in California that were kept in real high grades of preservation," he said. The coins, in $5, $10 and $20 US denominations, were stored more or less in chronological order in six cans, McCarthy said, with the 1840s and 1850s pieces going into one can until it was filled, then new coins going into the next one and the next one after that. The dates and the method indicated that whoever put them there was using the ground as their personal bank and that they weren't swooped up all at once in a robbery. Although most of the coins were minted in San Francisco, one $5 US gold piece came from as far away as Georgia. The discovery of gold at Sutter's Mill, about 80 kilometres northeast of Sacramento, set off the California Gold Rush of 1848. One of the largest previous finds of gold coins was about $1.1 million Cdn worth uncovered by construction workers in Jackson, Tenn., in 1985. More than 400,000 silver dollars were found in the home of a Reno, Nev., man who died in 1974 and were later sold intact for just more than $8 million Cdn. Gold coins and ingots said to be worth as much as $144 million were recovered in the 1980s from the wreck of the SS Central America. But historians knew roughly where that gold was because the ship went down off the coast of North Carolina during a hurricane in 1857.